The potential for falls and serious injuries on ladders is a very real one, as more than 20,000 people are injured and nearly 135 die annually in the U.S. due to ladder falls just in the workplace. Although construction workers are the most at risk for obvious reasons, they aren’t the only ones. Any homeowner – particularly those who prefer to do household maintenance themselves, may find themselves at risk of a fall. Whether these incidents can be grounds for an injury lawsuit, however, will depend on a variety of factors. For instance, if you were using a ladder on a property owned by another (say, a retailer), you might have grounds for a premises liability claim if you can show the ladder presented an unsafe condition and the property owner was aware of it or should have been aware of it and failed to warn you about it. If, however, you are injured by a ladder you are using at home, you may want to look into whether the ladder itself was defective. It certainly would not be the first time. 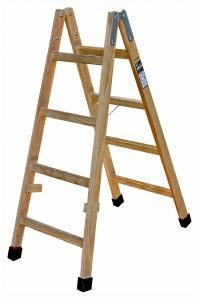 In fact, a jury in a federal court in Florida recently awarded nearly $5 million to a plaintiff who alleged injury as a result of a defective ladder. In the case of Ore v. Tricam Industries Inc. et al., a South Florida resident filed the personal injury lawsuit in the U.S. District Court for the Southern District of Florida. He alleged at least one of the rivets in the ladder manufactured and sold by defendants failed while in normal use. The holes were reportedly punched in the wrong place in the fiber glass. The ladder was never properly inspected before it was shipped to the hardware store for sale. The hardware store also failed to look it over before selling it. 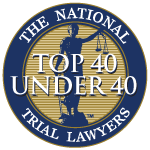 As a result, the ladder gave why while plaintiff was on it, causing him to fall and suffer serious personal injuries. He was reportedly at work and was using one of defendant’s step ladders to retrieve a tire at a store where he was a manager. Now, plaintiff attorney says, he will need a lifetime of care. Plaintiff did receive workers’ compensation benefits, because his injury occurred in the course and scope of employment. He is not prohibited from collecting on his personal injury claim, but the workers’ compensation insurer does have subrogation rights, meaning it will be entitled to reimbursement for any payment of medical expenses and past lost wages that were covered by the verdict. Jurors determined plaintiff was 15 percent liable for his own injuries, but so too was the employer. The manufacturer and hardware store, meanwhile, were collectively deemed 70 percent responsible for the incident. These types of complex product liability claims require a legal team with extensive experience in going toe-to-toe with large corporations in court. In proving defects in manufacturing, one must prove there is a defect in the product that manufacturer did not intend and departs from its original design. So even if a manufacturer was careful to design a safe product, choose the proper materials and set forth quality assurance guidelines, a defectively-manufactured product that leaves the factory and subsequently causes injury will give rise to manufacturer liability.